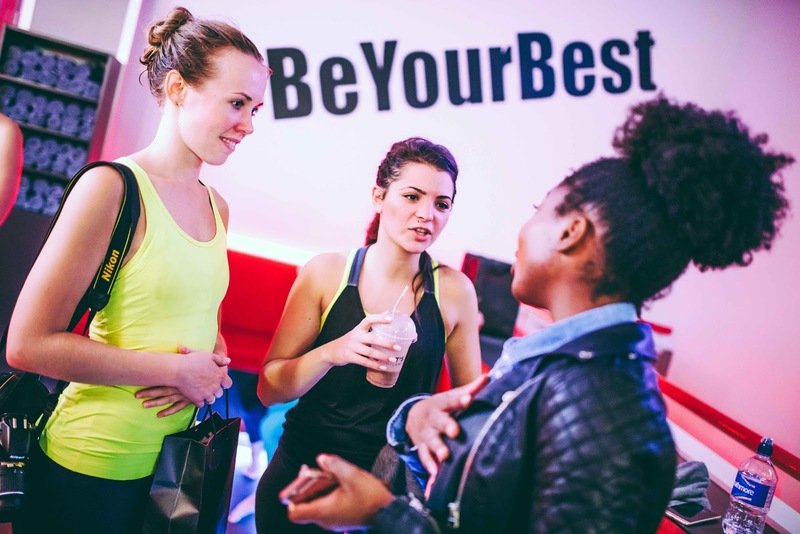 If you’ve not been to Bests Bootcamp or you’ve not heard of it, I just don’t know where you’ve been. 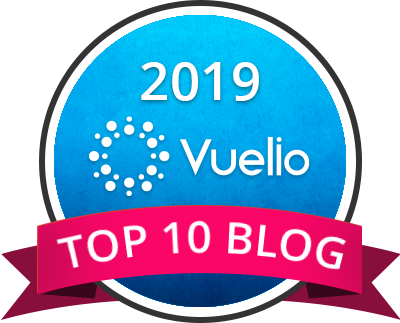 I’m lucky enough to have been around since they launched their Bootcamp classes a while back (read about that here) and then their cycle concept last year (that story is here). I’ve always loved the vibe at the studio so when I saw them advertising for instructor auditions I thought “why the hell not!”. I had no idea whether I would get through the auditions or not but I figured worse case scenario it would be great experience and the feedback (if provided) would be valuable. So off I went with my ten minute programme (5 mins on the treadmill and 5 minutes floor work) along with some tunes I deemed appropriate and I gave it my best. I actually ended up auditioning twice; first time was with studio owner Lee Drabble which was to fill specific spots on the timetable that I ended up not being available for anyway. 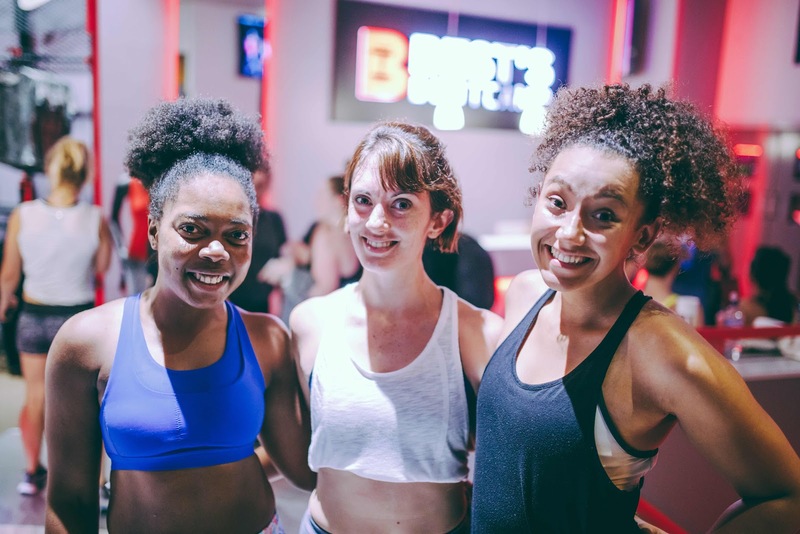 Then Lee appointed Abigail Dewberry (aka Abi) as Master Trainer for Bests Bootcamp so my second audition was with her. On the day, TfL did what they do best and the district line had delays which made me arrive just as the auditions got started… so I was the last to actually audition which has its pros and it’s cons, yeah? You get to see everyone else’s programming in action, pick up on things maybe they could’ve included or things they didn’t need to do and if you can remember it all apply it to your own audition. On the other hand, going last out of about 8-10 people means that there’s more time for the nerves to build… but I’ve literally learnt over the past few years that it just is what is it. I do what I can and that is all I can do. When I got the news that my audition was successful I was (as usual) both excited and nervous. It doesn’t automatically mean that I have a role with them, it just means that they saw potential in me and by joining their academy and completing the training we’d all work out if I was in fact a good fit for the studio. 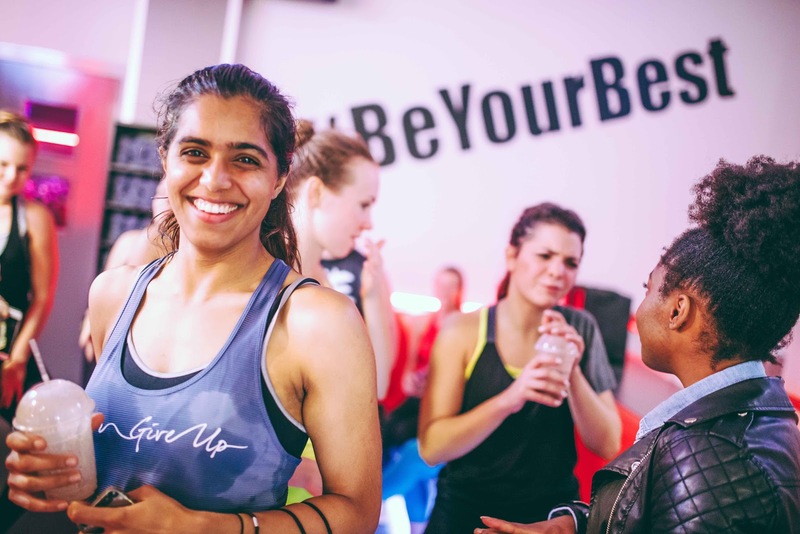 So three times a week I attend training sessions with Abi and a few other instructors in training to learn about the Bests Bootcamp way and everything that comes with that. Really deep down in the back of my head, I can hear that little voice saying “you can’t do this” …and “you’re not good enough”! It’s only week two and already my mind has formulated so many reasons for why I should quit. But I didn’t let it win for my audition so why would I start listening to it now?! I’ve spoken about Imposter Syndrome before and I know I won’t be the only person who’s ever suffered from it. It’s mad really when I know I’ve got over a decade of experience, a degree in Exercise Science and all my regular qualifications yet sometimes my head tries to tell me maybe I’m not who I say I am or who people think I am! But confidence comes with practice, right?! We’re learning some new skills (like dual PT where you’re leading floor exercises and treadmill rounds at the same time). This week I’ve had some friends come along to sessions (thank you sooooo much!) so we have more “bodies” in the room to practice teaching (if you wanna come along over the next couple of weeks keep an eye on my Instagram and Facebook for details of sessions). Somehow it seems a little less nerve-racking with more people; probably just because I’m not really a fan of roleplaying after years and years of drama school! Now this one has been a struggle for me. Its firstly because I believe a good coach doesn’t always make a good player and vice versa, but also because I have my own training schedule in place for events I’ve signed up for and bootcamp doesn’t necessarily fit into that. 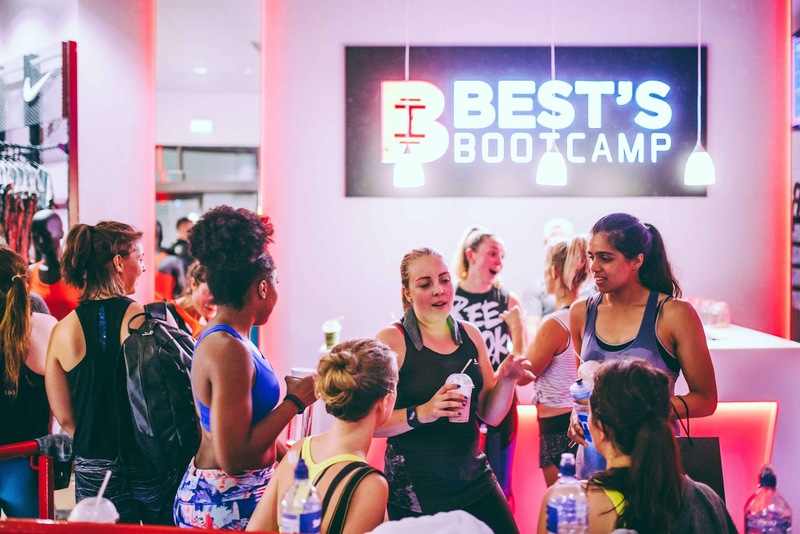 Bootcamp involves a lot of running (very fast) on a treadmill and lifting (heavy) weights. I absolutely love doing that but my priority recently has been to rack up endurance mileage on my bike training for Paris and then for RideLondon-Surrey 46. It’s been a mad switch from cycling back to running and weights with barely any time for recovery. Trying to balance my teaching schedule (which does involve training sometimes) along with my own training programme for events, getting to classes at Bests to familiarise myself with the concept and then running through our programmes over and over again in our three sessions each week… well lemme just tell you that’s it’s not easy. I’m hoping I can save enough energy to make it through and be fit enough to do my own programming (at intermediate) in the very near future. When you’re just “being you” it’s sometimes hard to really notice what that’s like. So it’s great to have Abi’s constant feedback. She’s very honest, which I like, and always delivers her feedback in a constructive way …most of the time she even has me in stitches laughing at myself. Feedback is invaluable in any role, especially in such a performance driven atmosphere. A couple things I’ve been working on are my loud speaking voice using the mic (as opposed to getting really hyped and making EVERYTHING I say sounds like THE most exciting news!) and learning not to march around the room incessantly; we’ve all been doing it, it’s just nerves and excitement rolled into one! At the end of a recent session I said “I’m not sure this training is supposed to be this much fun”… but really, if it isn’t fun, what’s the point?! Ever wondered what it’d be like to teach your favourite class?! Or are you already teaching and know exactly where I’m coming from? !